Reverse Mortgage Counseling | HELP CDC :: Welcome! 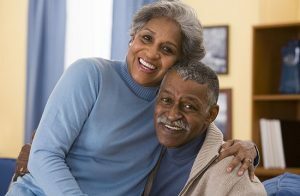 Reverse mortgages enable senior homeowners, age 62 or older, to convert their home’s equity into available cash, without making monthly payments. An application is made to a Reverse Mortgage lender who advances the money (the loan) based upon the equity in the home. The amount of money you are eligible to receive generally depends upon the amount of equity in the home and your age at the time you get the loan. When you are ready to schedule your counseling please contact us at (407) 628-4832 extension 2002 -or- 1 (800) 803-6190. You can also Download the HELP CDC Pre-Counseling Packet. The loan balance does not have to be repaid as long as the senior homeowner lives in the home. The loan maybe paid off at any time through the sale of the property or prepayment of the loan. Remains the owner of their home. Continues to pay property taxes and homeowner’s insurance. Responsible for maintaining the home in good condition. A Home Equity Conversion Mortgage (HECM) is a reverse mortgage that is insured by the Federal Housing Administration (FHA) and administered by the department of Housing and Urban Development (HUD) and can be used for any purpose. Own your home outright or have a low mortgage balance which will be paid off at closing with the proceeds from the reverse mortgage. Most types of homes are eligible including single-family, 1-4 unit homes, providing one unit is occupied by the borrower. Condominiums and manufactured homes must be HUD approved and also meet FHA requirements. Reverse Mortgage counseling is required by section 255 of the National Housing Act. The government wants to ensure that people are not being taken advantage of in any way. One-on-one counseling gives you the chance to speak with an independent third-party from whom you will receive unbiased information on the entire Reverse Mortgage process. Your HELP CDC Reverse Mortgage Counselor will discuss your goals for a reverse mortgage with you and will explain the different options available to help meet your needs. We will be sure to answer all of your questions so that you can go into the process with a clear understanding of how it works and knowing whether this is the right decision for you or not. Once you have all the information we provide during the counseling you will likely have an easier time deciding what to do. You must schedule an appointment directly with our counseling agency. Your lender cannot initiate or participate in the counseling session. When you are ready to schedule your counseling please contact us at (407) 628-4832 extension 2002 or 1 (800) 803-6190. You can also Download the HELP CDC Pre-Counseling Packet. HUD encourages you to learn as much as possible about your options, before you decide on a reverse mortgage. Listed below are resources you can access to learn more about reverse mortgages and elder care. AARP’s web site at http://www.aarp.org/money/credit-loans-debt/reverse_mortgages/ provides more information on reverse mortgages and calculators that will provide general estimates of the amount of money you might receive from a reverse mortgage. You may also contact AARP at 1 (800) 424-3410. The National Reverse Mortgage Lenders Association provides consumer information on their website at http://www.reversemortgage.org/default.aspx and can be reached by calling (866) 264-4466.